What better way to get the most out of a day in the Irish hills and mountains than to hire your own local walking guide. 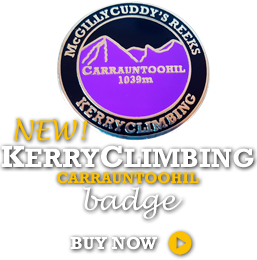 KerryClimbing will show you the very routes, and bring the experience to life by sharing with you a wealth of local knowledge, information and stories gained from over 20 years walking and climbing these magnificent peaks and valleys. We will ensure that you truly experience and make the very most of your time spent in this most beautiful part of the country. You may already know or have an idea of which area you wish to explore. 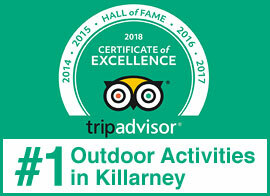 Maybe you have always wanted to climb Corrán Tuathail, the highest mountain in Ireland, some of the other majestic surrounding peaks or perhaps you’ve your sights on a much more relaxing gentler stroll through some of the ancient oak forests of the Killarney National park. Whatever your preference, we can devise the perfect walk for you – just tell us what you would like. If you don’t know the area well, why not take a look at our list of suggested walks below. We are always happy to chat on the phone to help plan your perfect guided walking day. · Circuit of Muckross Lake, Killarney. A gentle walk on forest trails and paths. 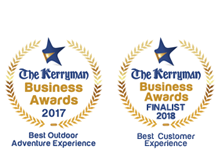 · Torc mountain – Affording truly spectacular views over Muckross demesne, the lakes of Killarney, the National park and the rugged high summits of the Reeks. 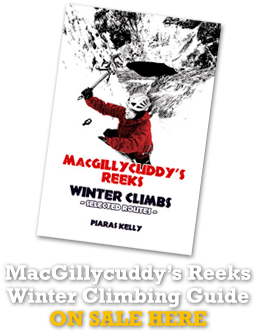 · Strickeen (Struicín) mountain is one of the more accessible mountains of the McGillycuddy’s Reeks and is an ideal introduction to mountain climbing for the young or uninitiated. Stunning panoramas in all directions and a lot packed into its 440 metres. 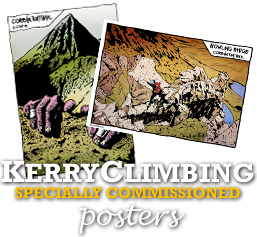 · Climb Carrauntoohil by the Devils Ladder. The more straight forward route of ascent of Ireland’s highest mountain. · Circuit of Muckross Lake taking in the summit of Torc Mountain (535 mtrs.) overlooking the Lakes of Killarney and the beautiful oak forested National Park. 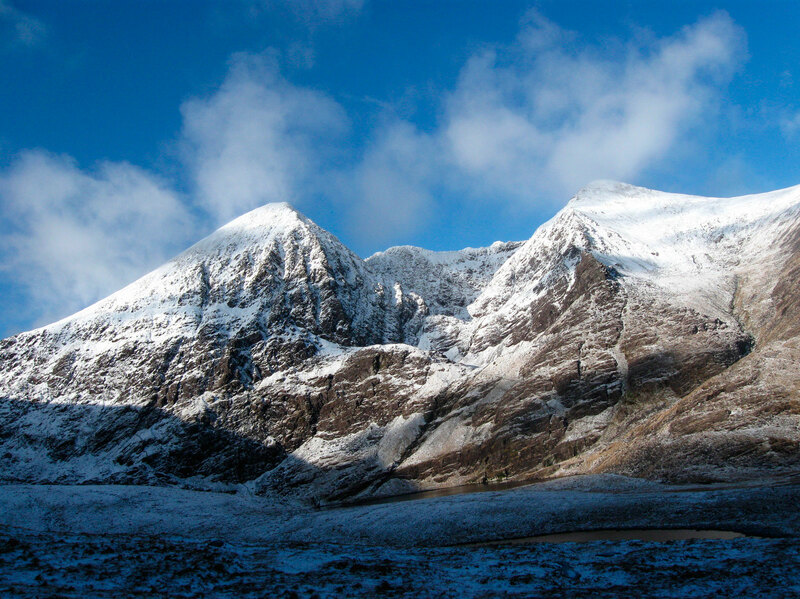 · Carrauntoohil by Brother O’Shea’s Gully. A fantastic and popular route in a truly magnificent setting. · Purple Mountain & the Gap of Dunloe. A stunning high trek above the Gap of Dunloe affording spectacular views to the lakes of Killarney to the north, the stunning Black Valley to the south and the magnificent high jagged peaks of the MacGillycuddy’s Reeks to the west. · The Coumloughra Horseshoe. 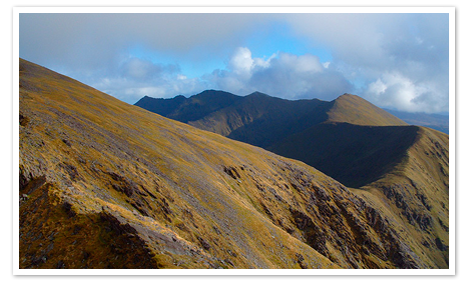 This classic trek takes in Ireland’s 3 highest peaks – Carrauntoohil, Beenkeragh and Caher!!! · Stumpa an t-Saimh (Hags Tooth) Ridge taking in Ireland’s 2 highest mountains.